Dr. Price concluded that butter, which was produced from rapidly growing grass in the spring, had higher “Activator X” levels than butter produced during the rest of the year. What he may not have known is that green grass contained vitamin K1 as part of the electron transport chain in photosynthesis.7 We now know that vitamin K1 is damaged by light 8 and this may explain why early grass was a better source of vitamin K1 than grasses later in the season. 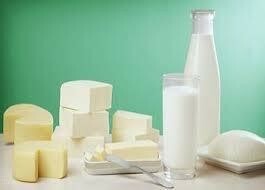 What is the Best Source of Vitamin K2 MK-4? 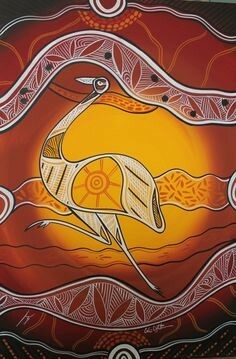 Walkabout emu oil is available at Walkabout Health Products in capsules and liquid for internal use, and in a liquid for topical use.22 Each one-gram capsule provides on average 5,575 nanograms per gram (ng/g) of MK-4, 21 which means that two capsules in the morning, afternoon, and evening (recommended dose for heart health) would provide on average 34,650 ng/g per day– the highest source of MK-4 available.23 In a natural food matrix, MK-4 is non-toxic and proven safe. But the other best-known Vitamin K2, MK-7, is not tolerated well by everyone and, as described in the comments to the Ultimate Vitamin – K2 Resource, an “MK-7 sensitivity” can cause insomnia, anxiety, and rapid heartbeat in certain individuals, which abates a short time after the supplement is stopped (http://bit.ly/2vGpXKl). Why is MK-4 Paramount to Our Health? In the brain MK-4 is necessary for the formation of sphingomyelin and in the cognition process.29 During pregnancy it is needed to prevent calcification of the placenta and placental arteries. 30 MK-4 regulates the genes of bone by activating the steroid and xenobiotic receptor (SXR). 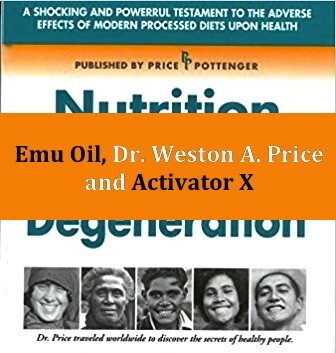 31 In addition to its role as cofactor, emu oil complex is highly anti-inflammatory inside the body as well as out.32 Including a whole-food product like Walkabout emu oil to your daily routine, which is not the result of chemical patents but Nature’s loving beneficence, would be a big step towards increasing your total level of wellness. Conflict of Interest statement: The author does not have any financial affiliation with Walkabout Health Products, nor is an employee. Her opinions expressed in this article are her own and based on research and personal experience. NOTE: For studies cited from Pub Med, the National Library of Medicine website, only the DOI or the PMID number for that reference will be given here, which can then be pasted and copied into your browser to obtain the full reference; the same procedure applies for the ISBN book designator numbers. Thank you for this wonderfully thorough write up on the MK4 form of vitamin K2. Because Vitamin D3 causes the release of those proteins that MK4 activates, use of the two together gives better results. Artery calcification has been recently recognized as the most important factor in cardiac disease and MK4 has the potential for reversing this condition. Wonderful article… this is now “required reading” for the entire tribe here at Ancestral Supplements and will likely make it’s way into our preconception, conception and post-conception essay. Thanks so much for your comments! I enjoyed writing it.